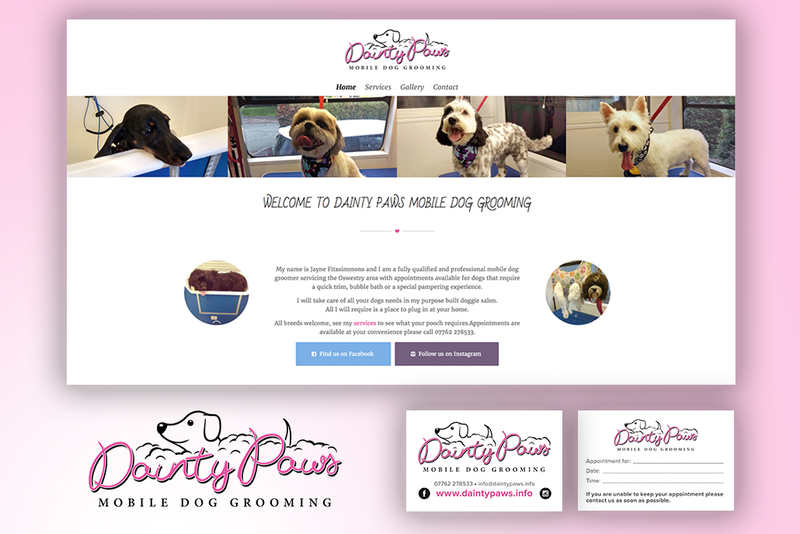 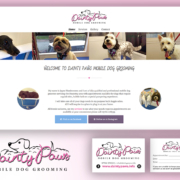 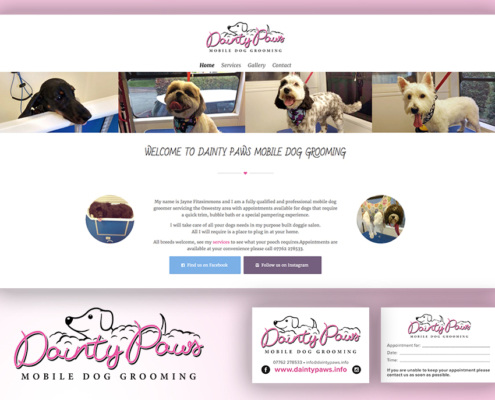 Design of Logo and single page website for Mobile Dog Groomers based in Oswestry, Shropshire. 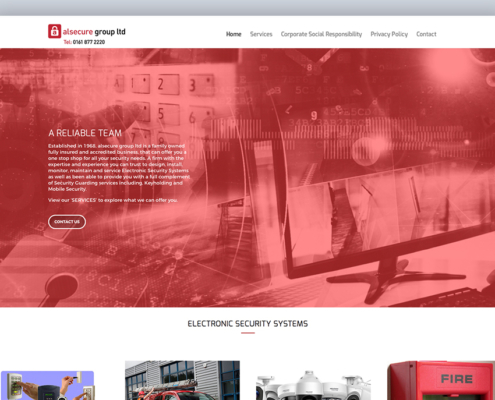 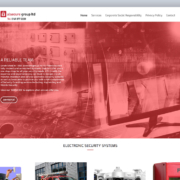 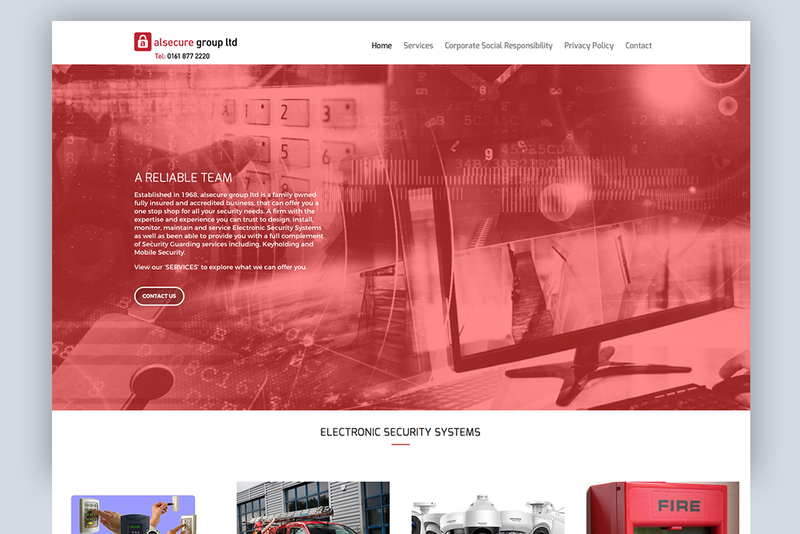 Website and logo design for Manchester based security company. 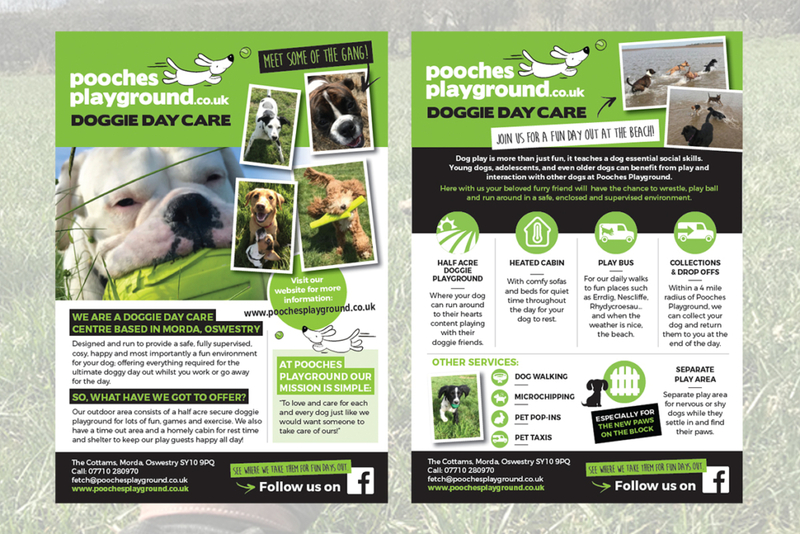 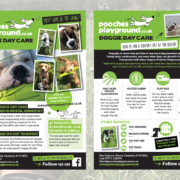 Web design and accompanying leaflet design for local Doggie Daycare in Morda. 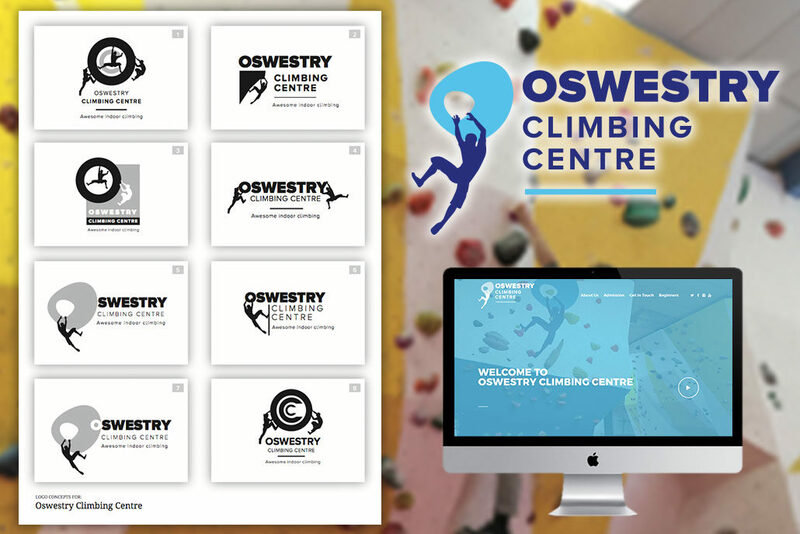 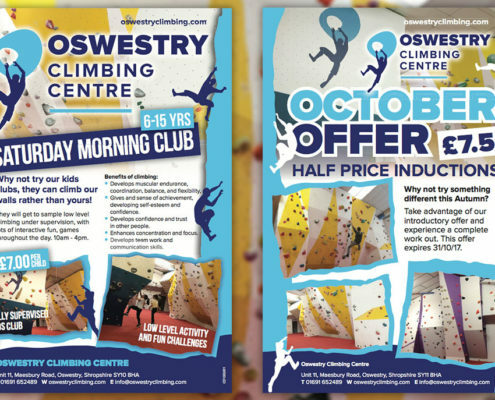 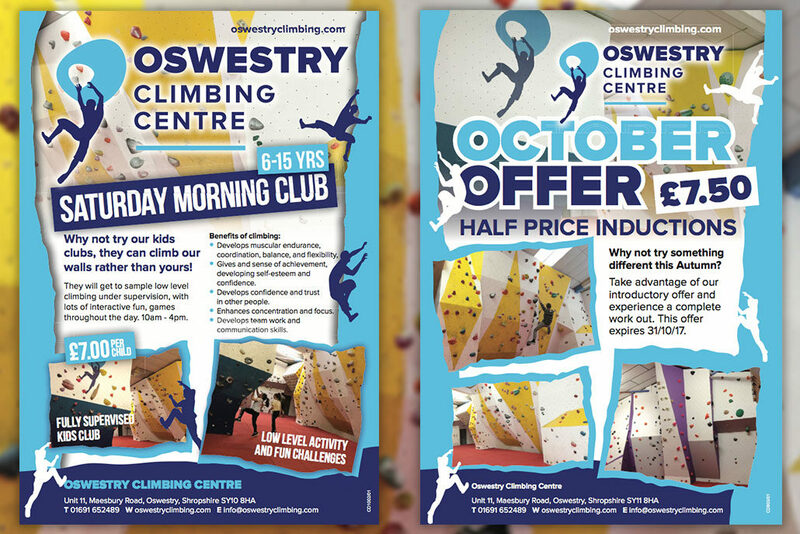 Rebrand of Oswestry Climbing Centre. 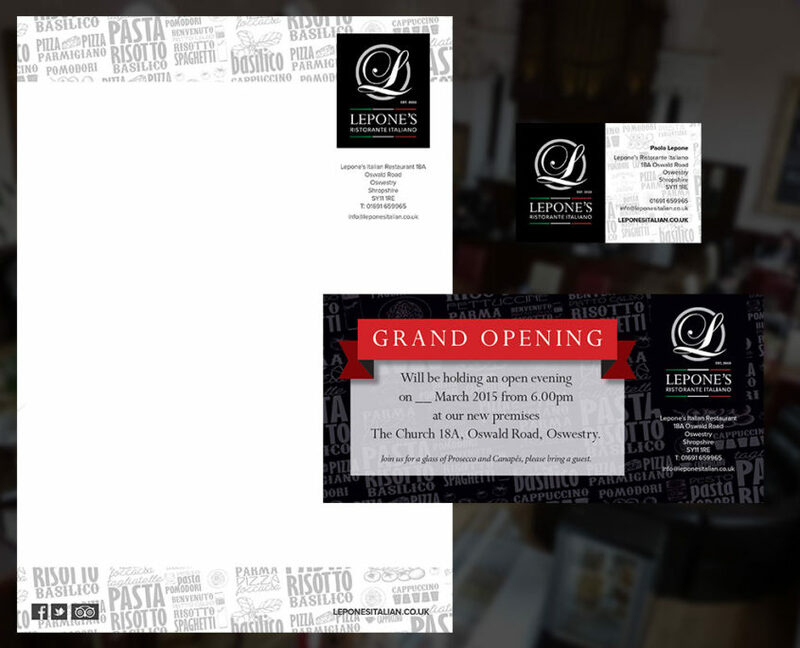 Logo and stationery design, plus a WordPress Website. 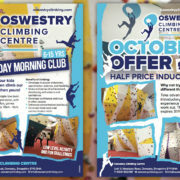 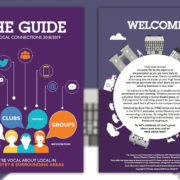 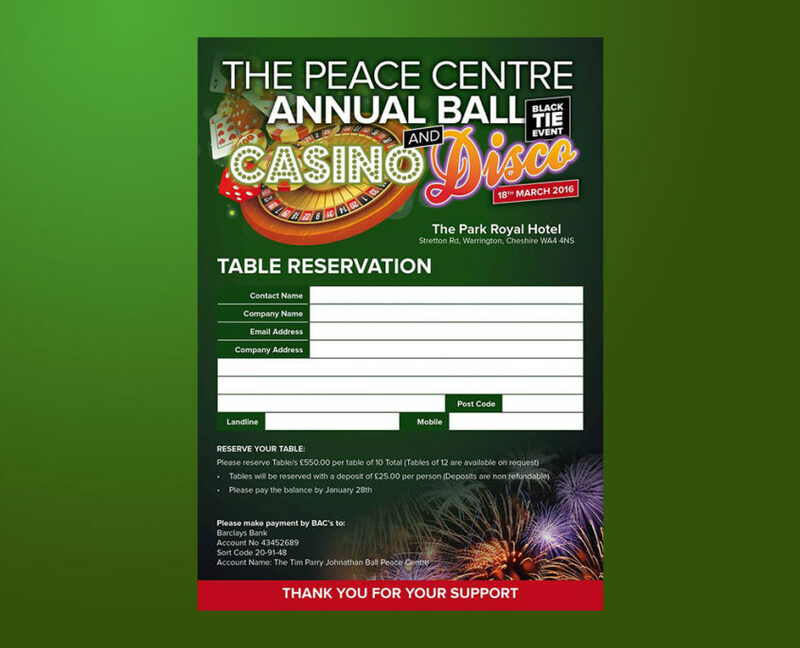 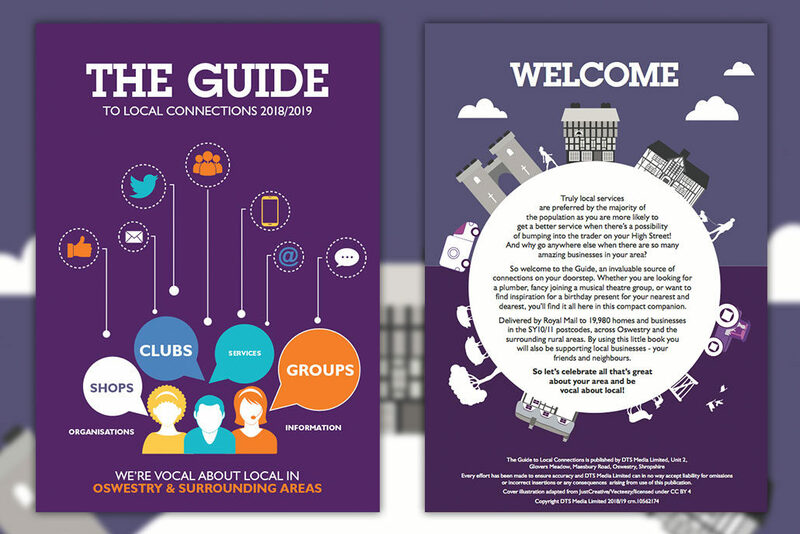 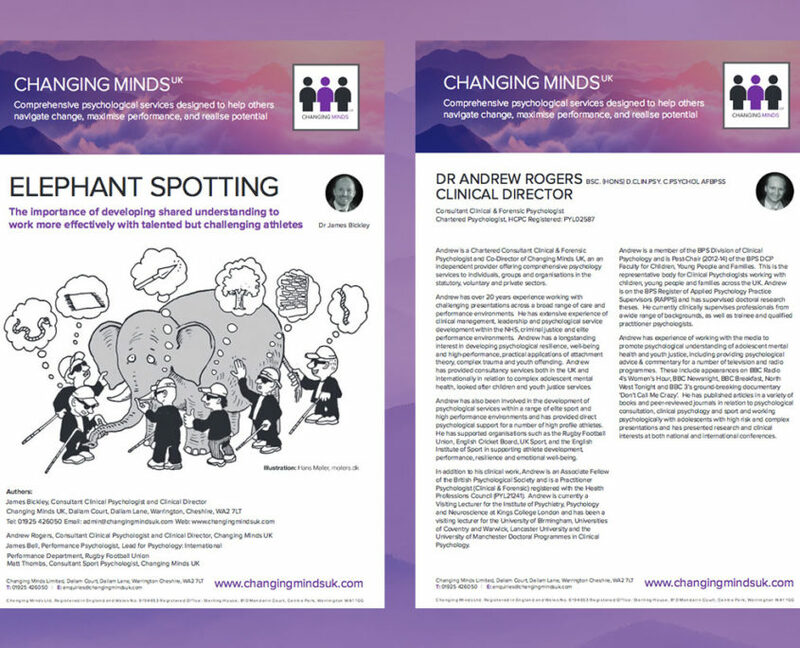 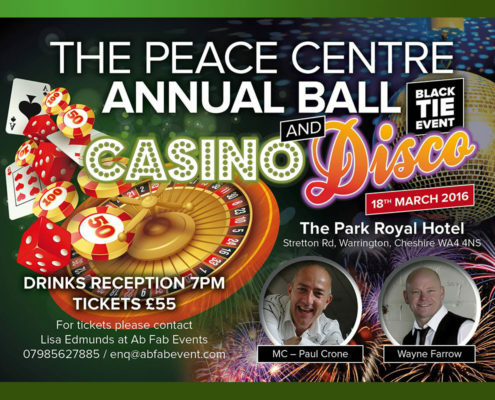 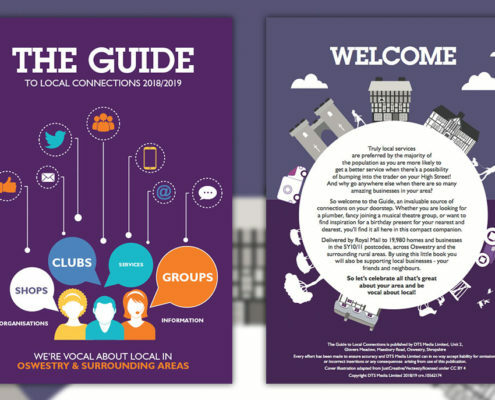 Production on monthly Leaflets to promote the centre. 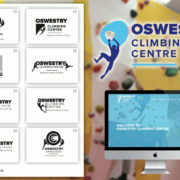 Design and layout of Oswestry A5 Directory distributed to the Oswestry District. 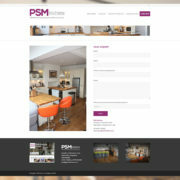 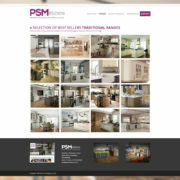 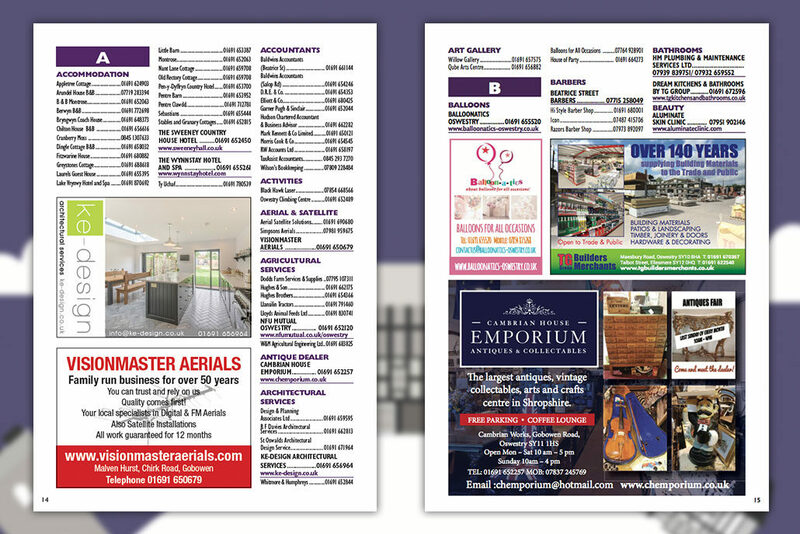 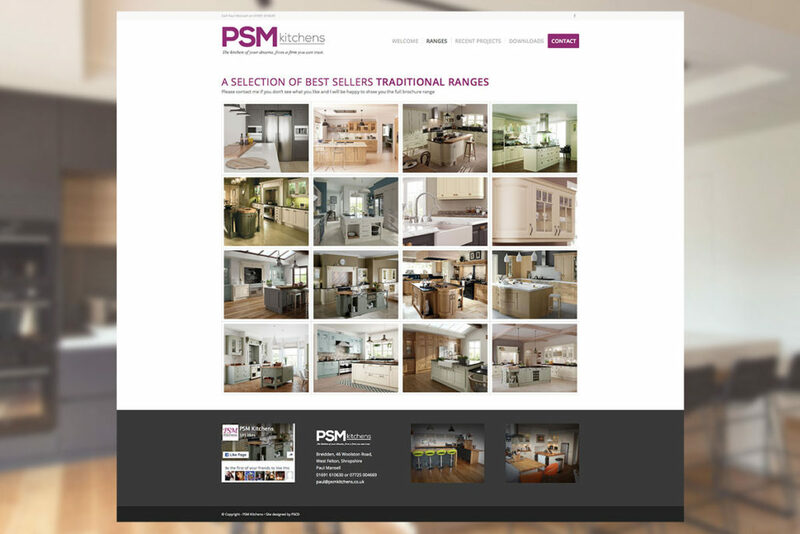 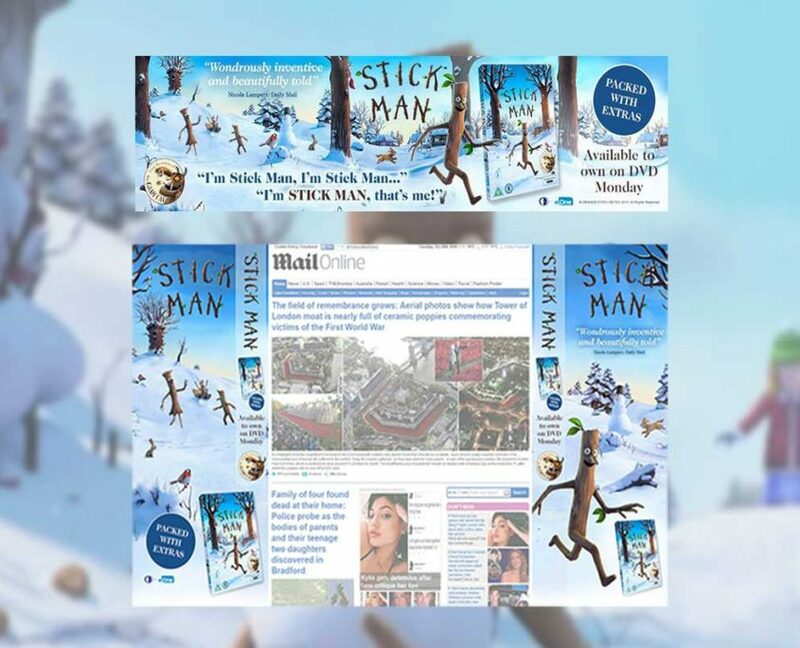 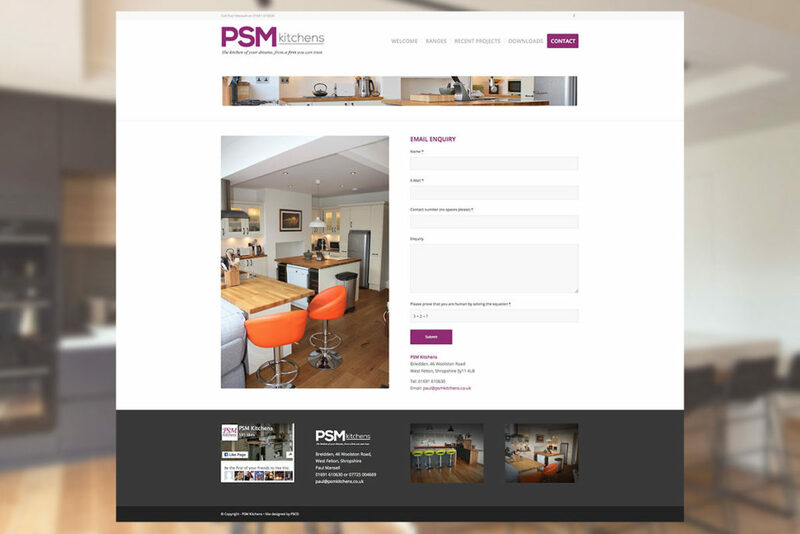 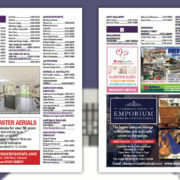 A project that took several months of collating and designing advertising and refining the listings. 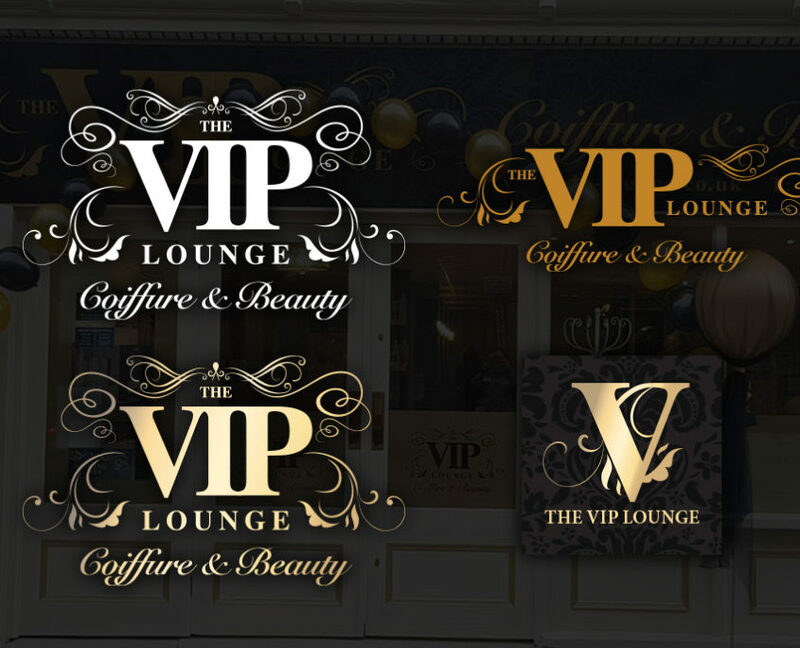 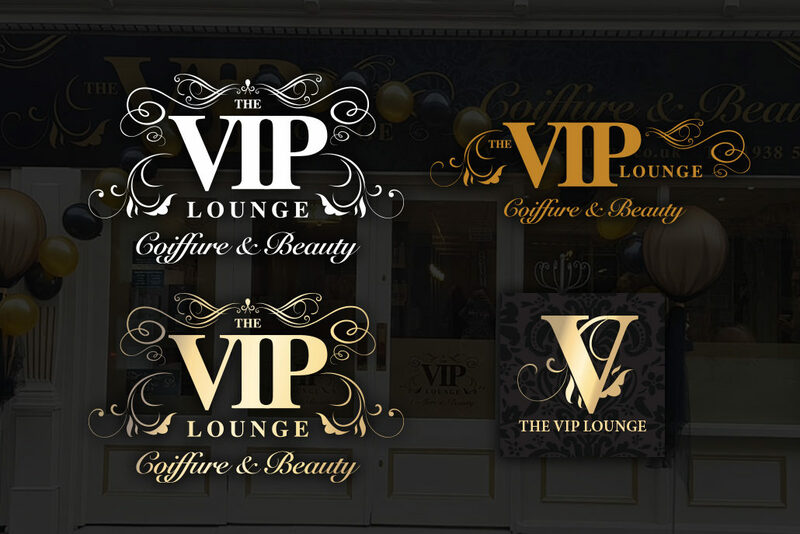 Design of logo, website, branding and shop signage for hair and beauty salon in Welshpool. 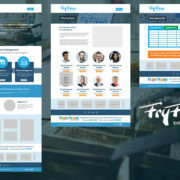 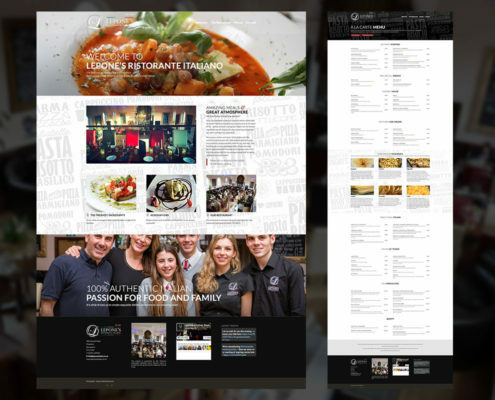 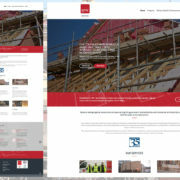 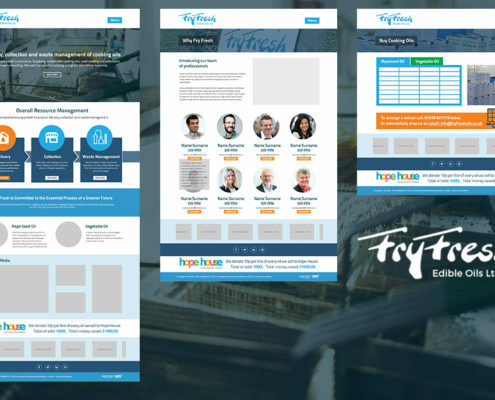 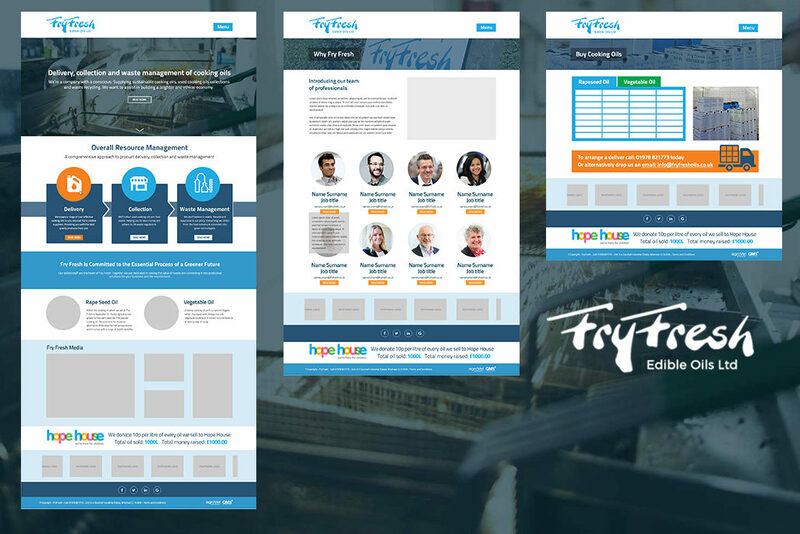 Deign layouts supplied knoppys digital for wordpress custom build for FryFresh Oils. 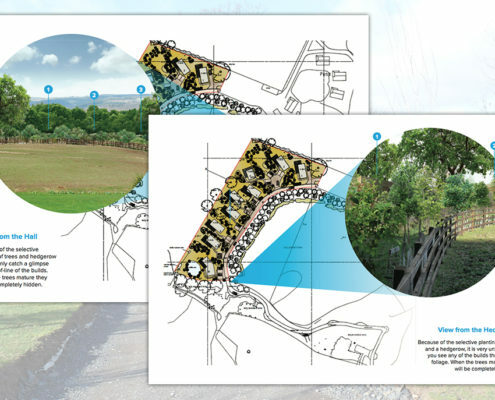 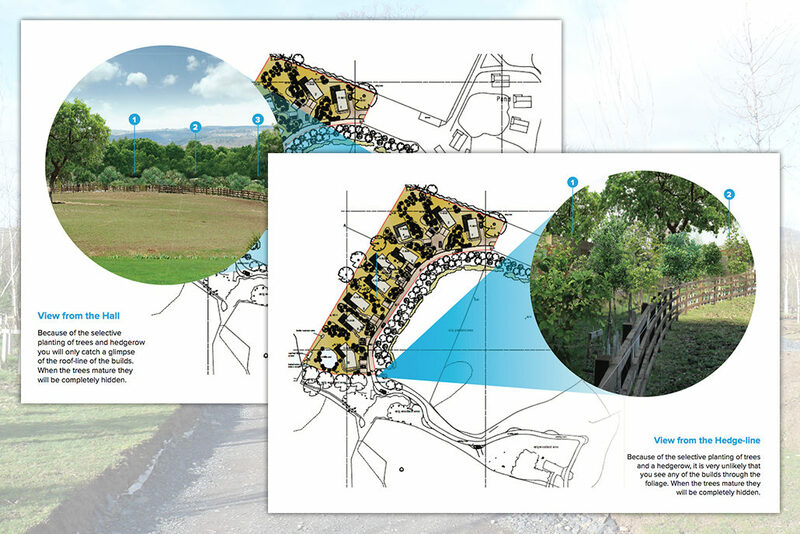 Photoshop Manipulation to enhance a planning proposal. 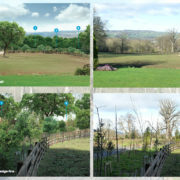 The brief was to take the photographs in February and make them look like Summer. 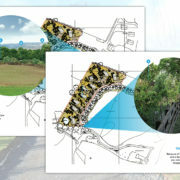 Showing what some proposed builds may look like when hidden by trees. 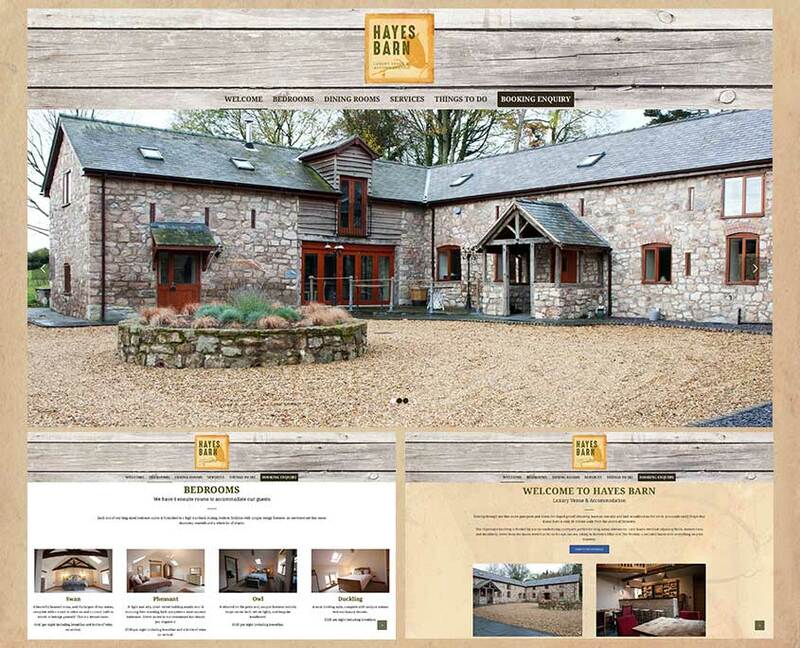 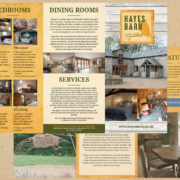 Design of Logo and Website for Luxury Venue and Accomodation based in Oswestry, Shropshire. 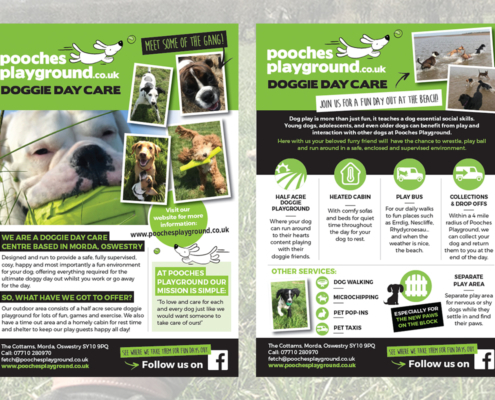 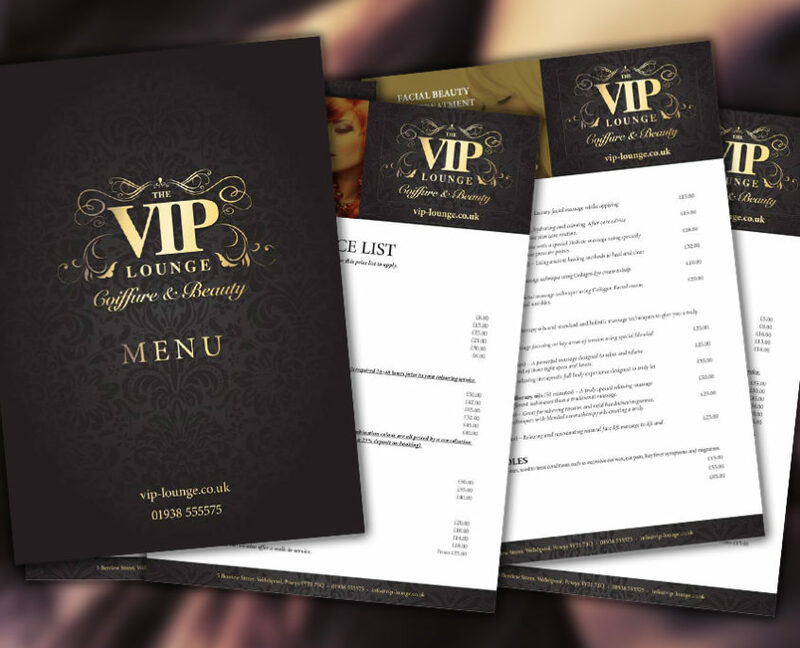 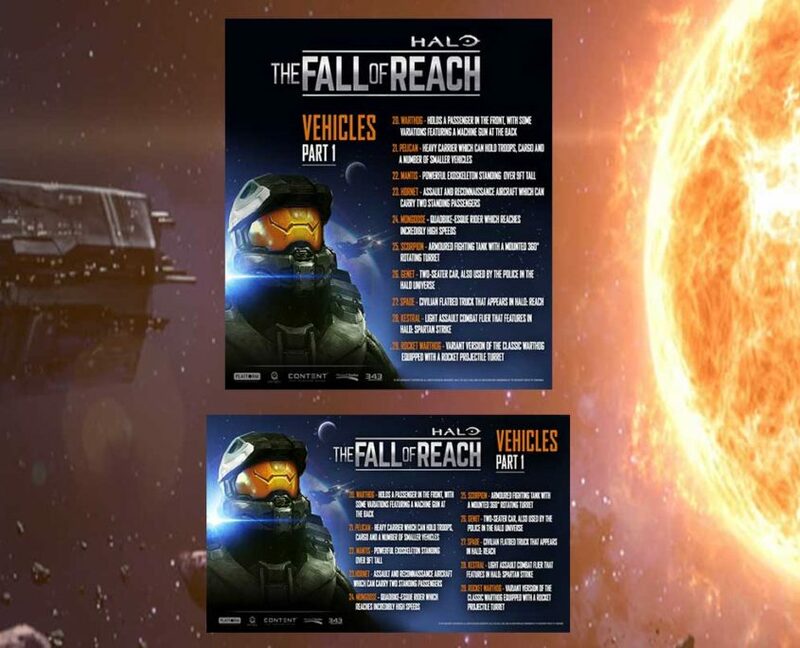 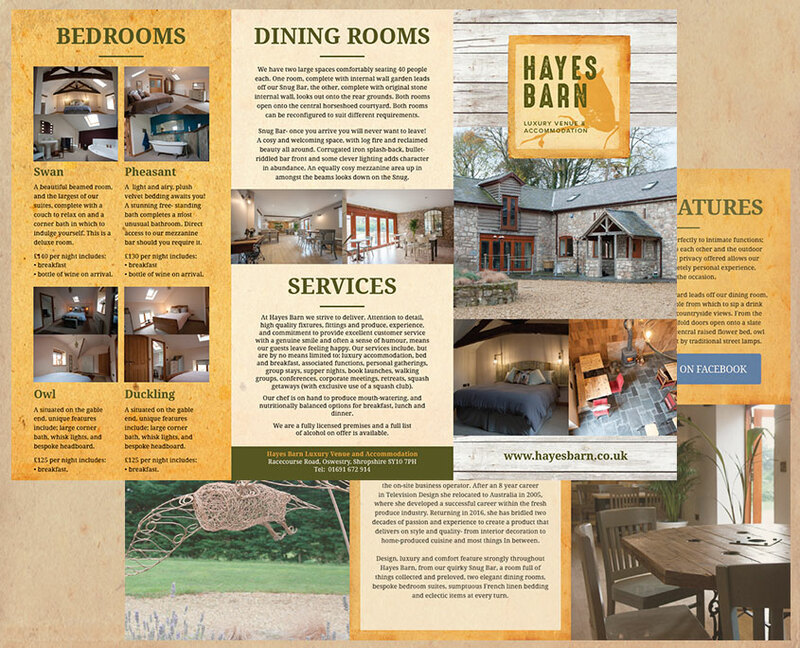 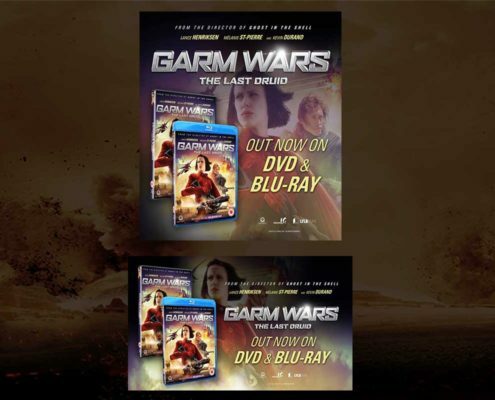 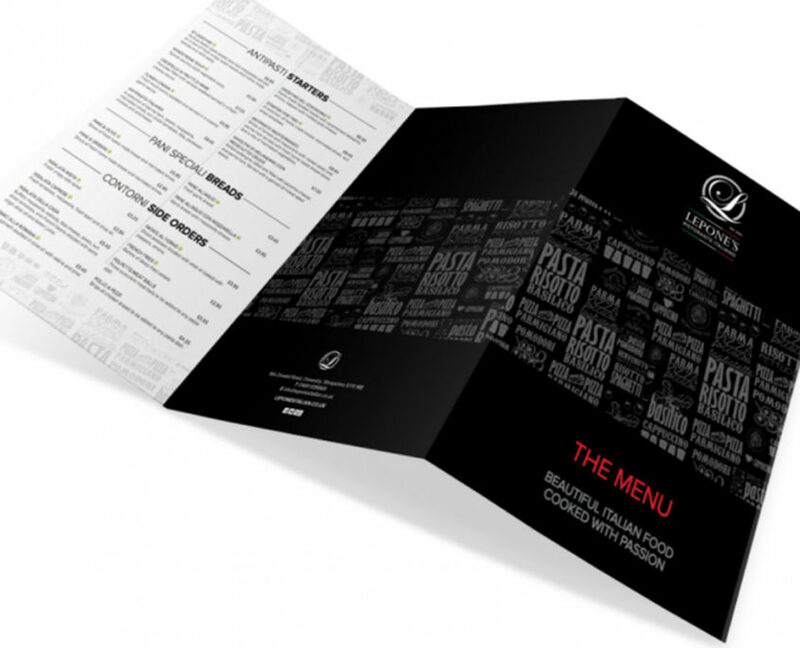 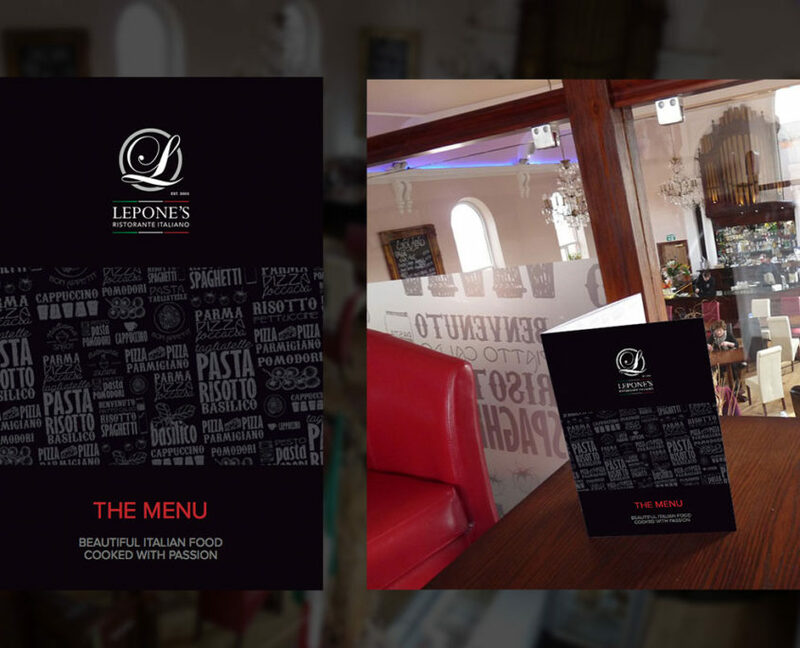 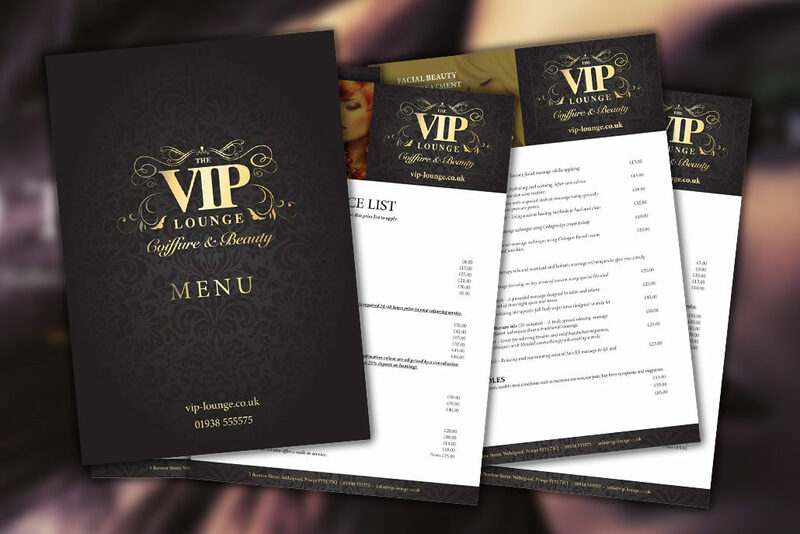 Additional leaflet design for distribution. 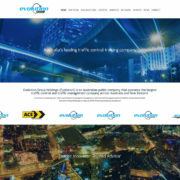 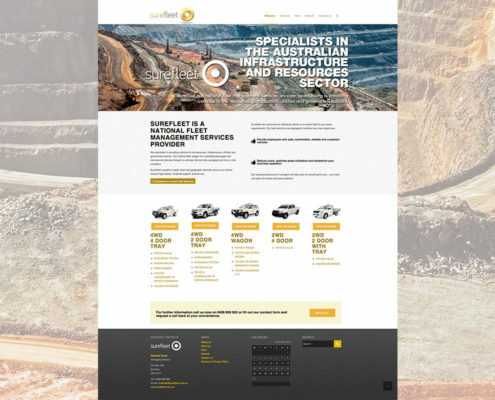 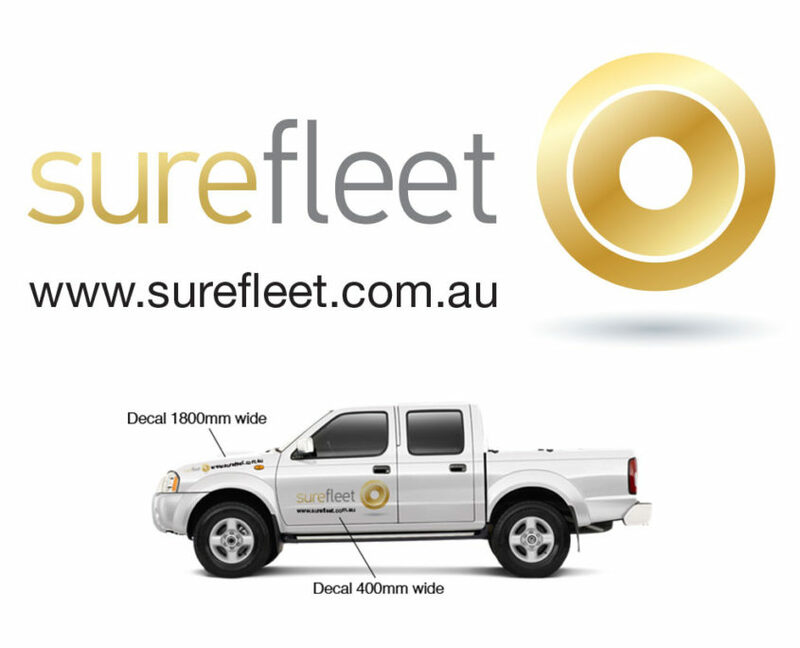 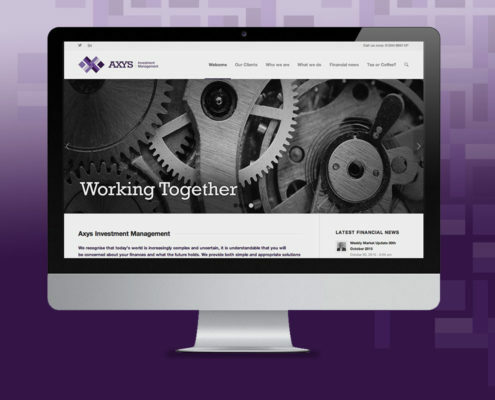 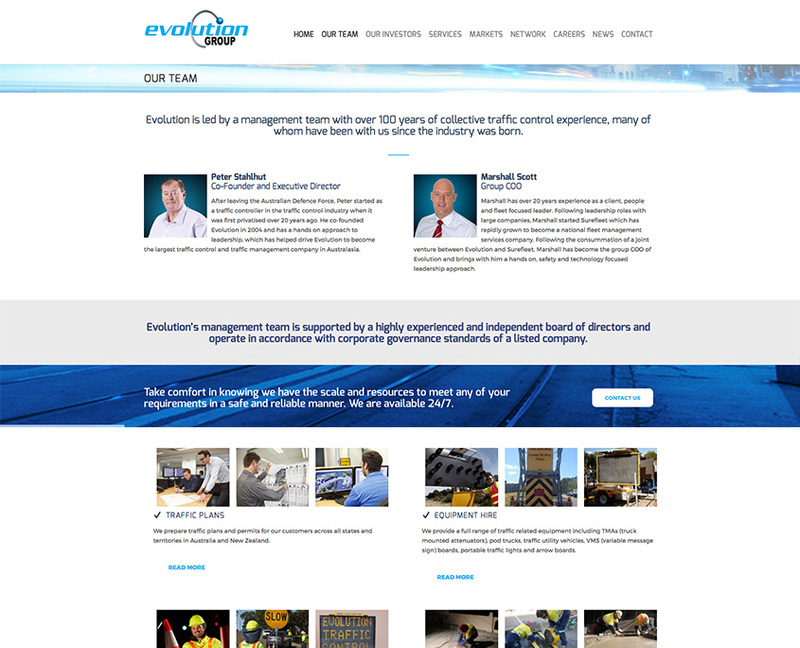 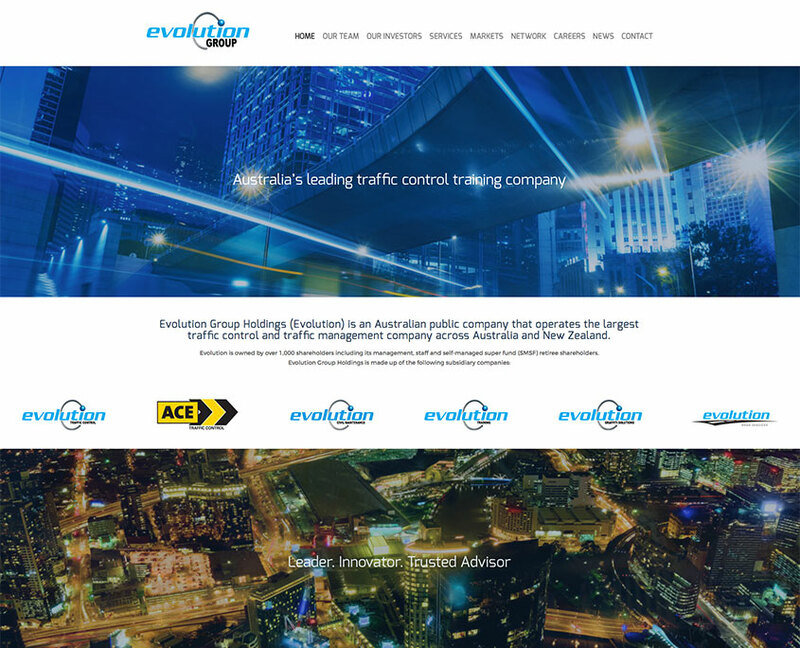 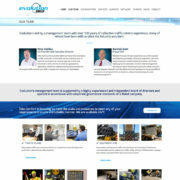 Design of website and branding for Australian Traffic maintenance group. 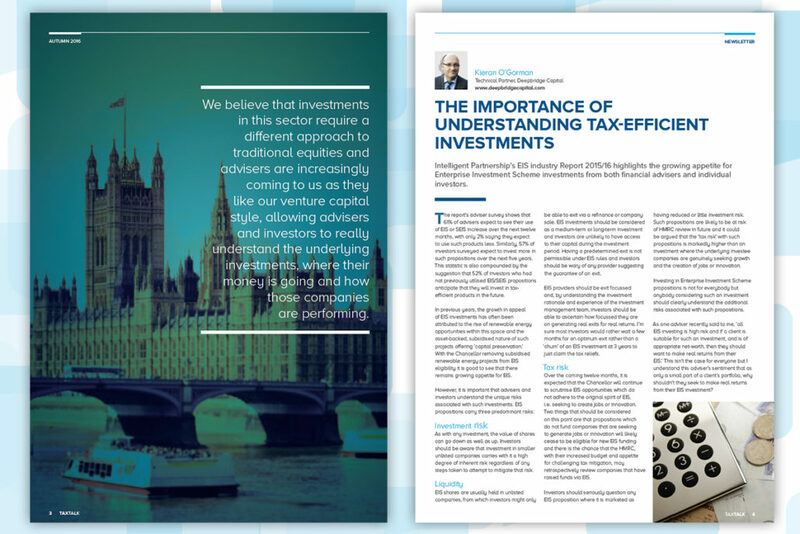 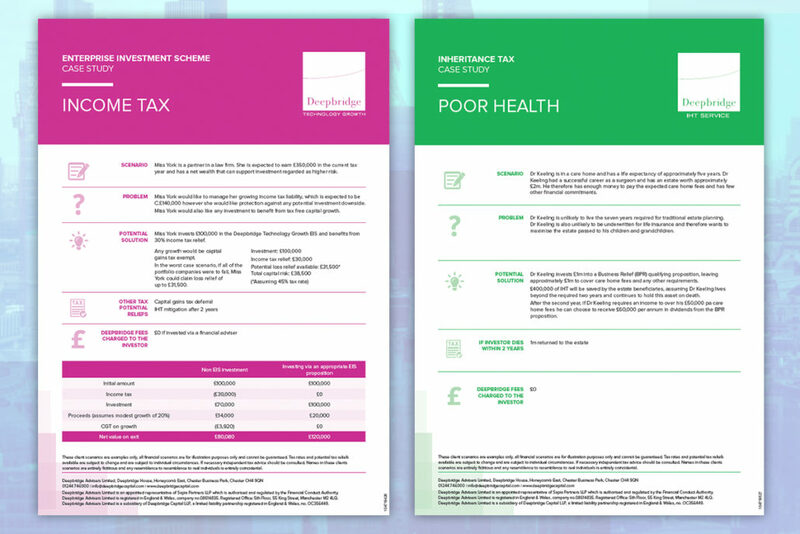 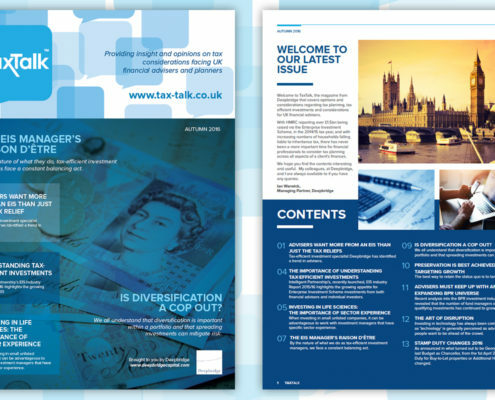 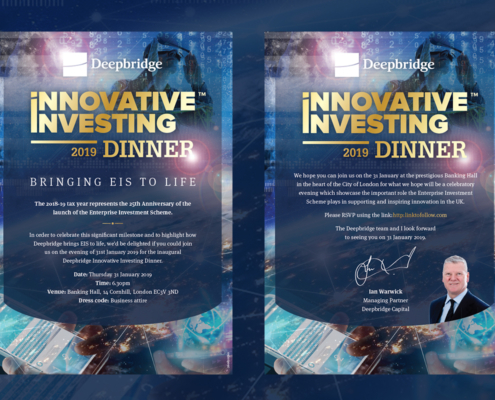 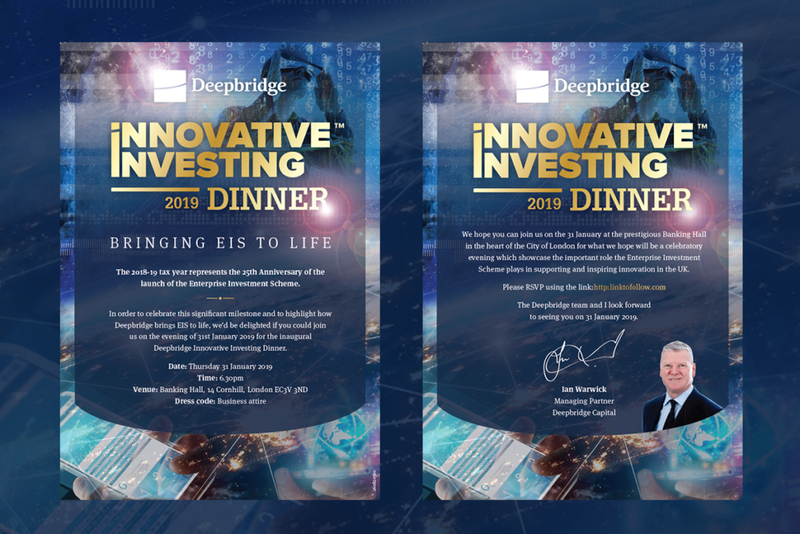 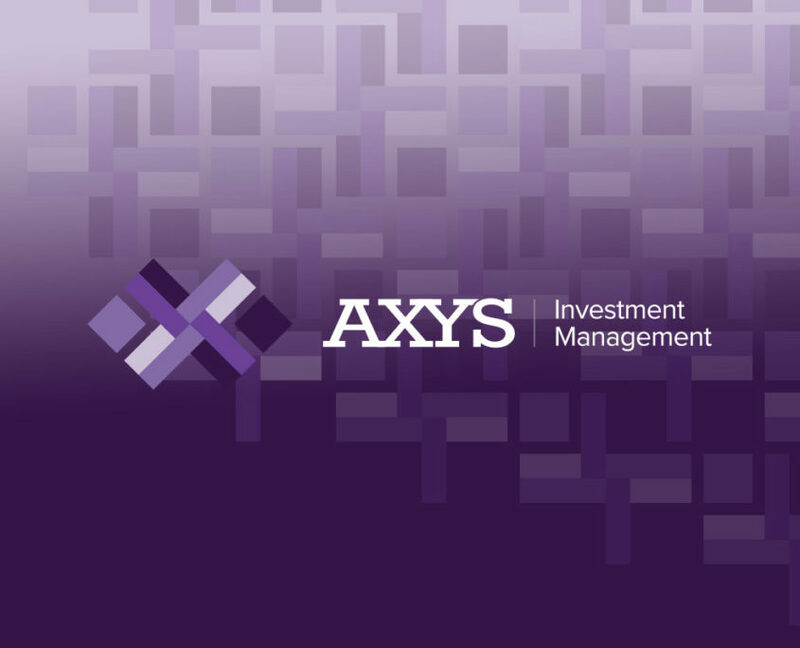 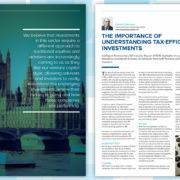 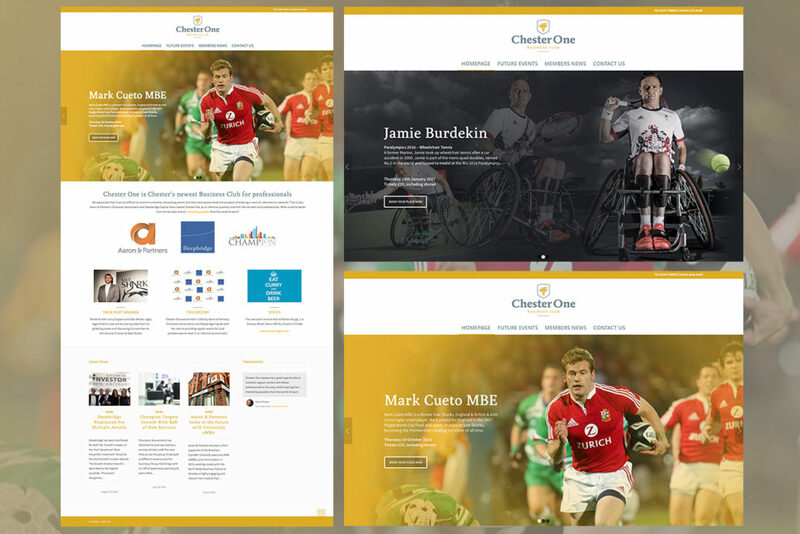 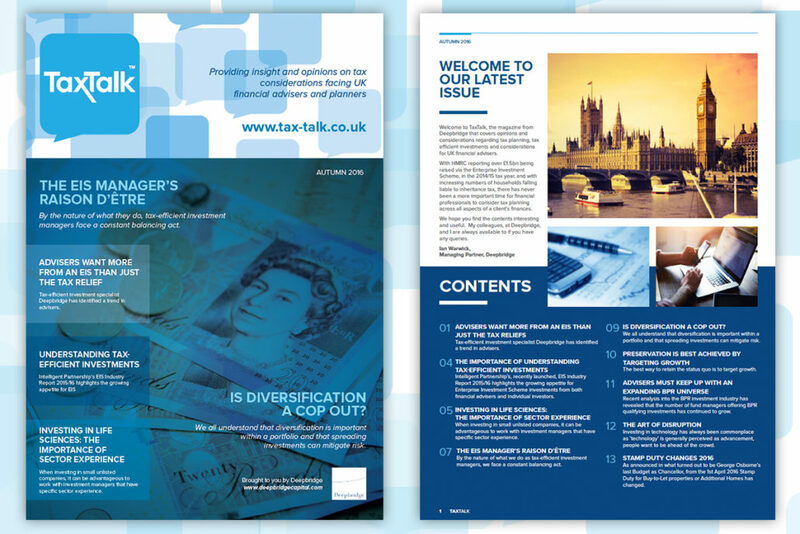 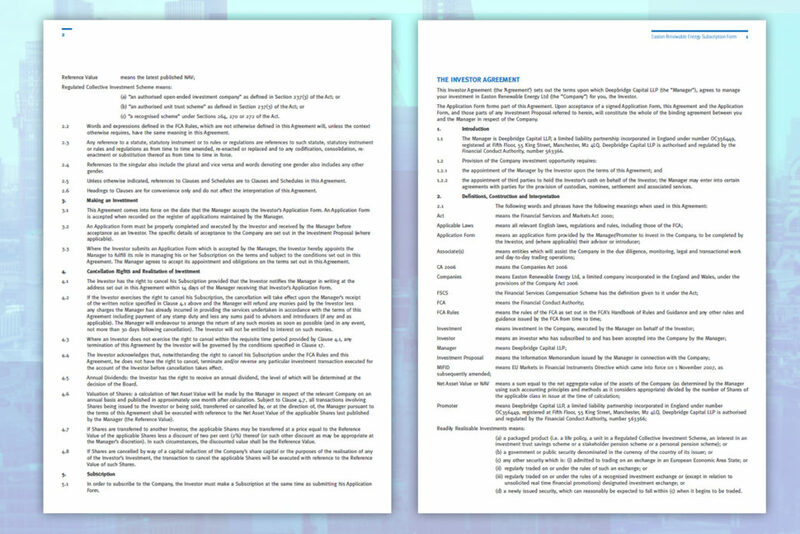 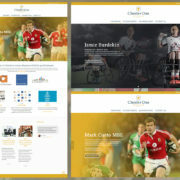 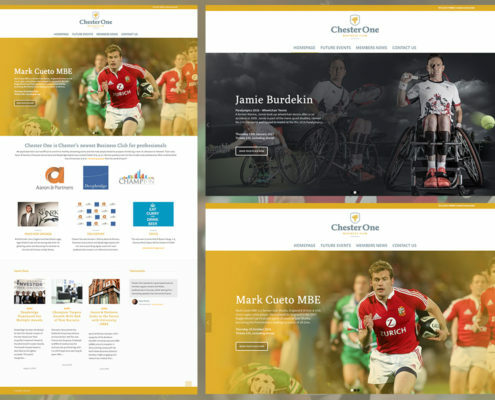 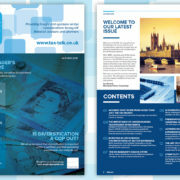 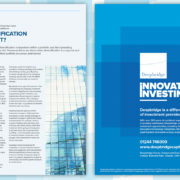 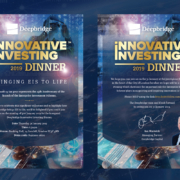 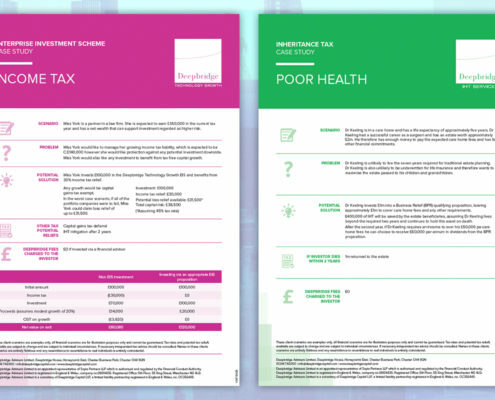 Launch of website and printed newsletter for Independent Financial Advisers. 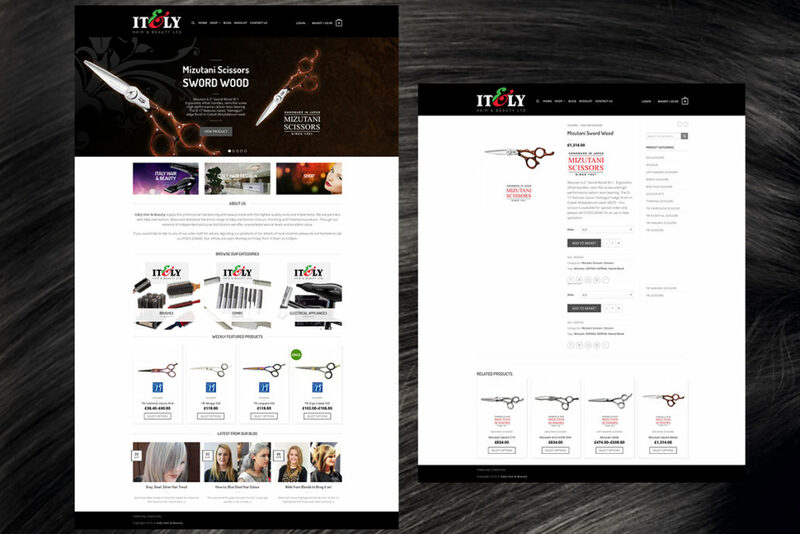 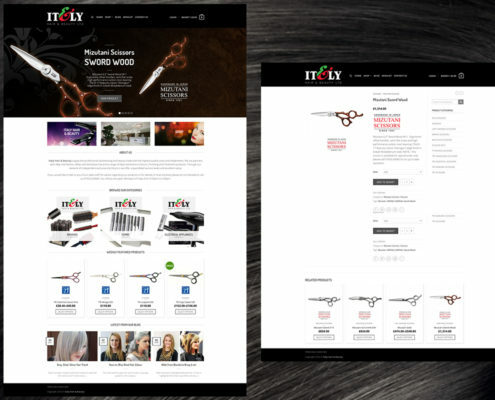 Design of Woocommerce website for Italy hair & beauty, built using the very robust flat some theme. 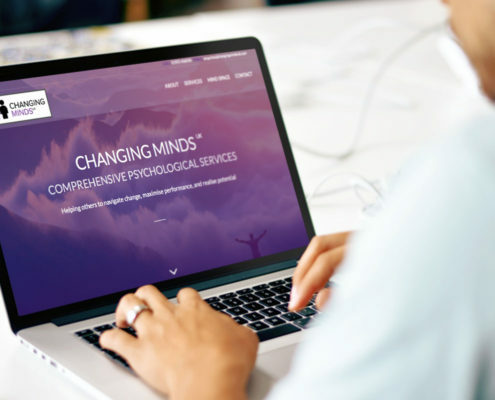 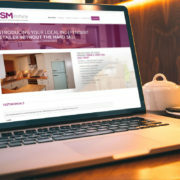 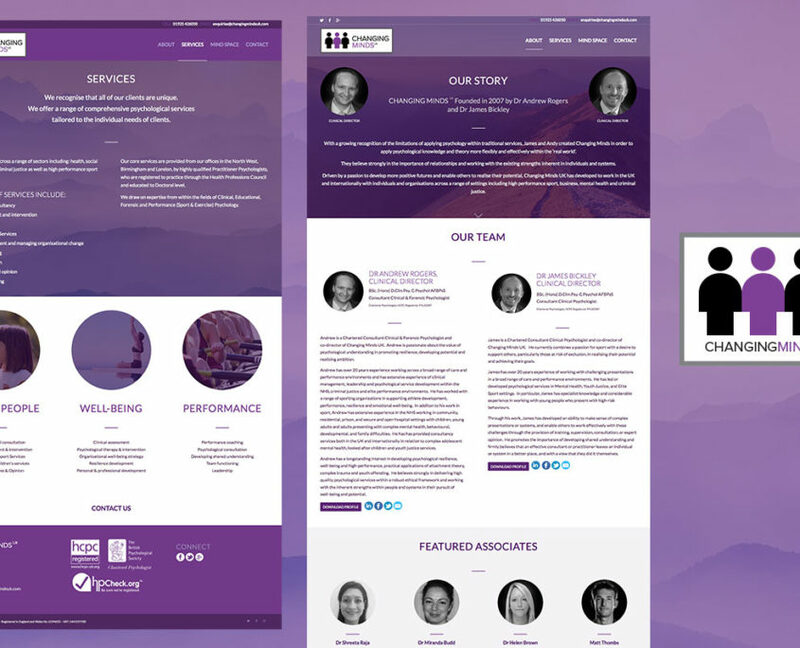 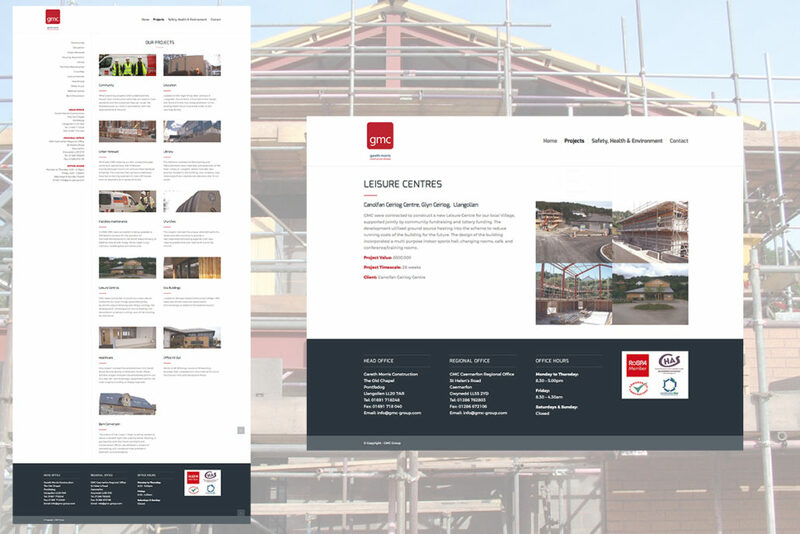 Design of GMC website. 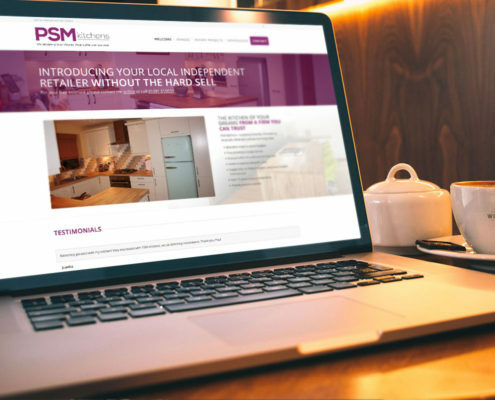 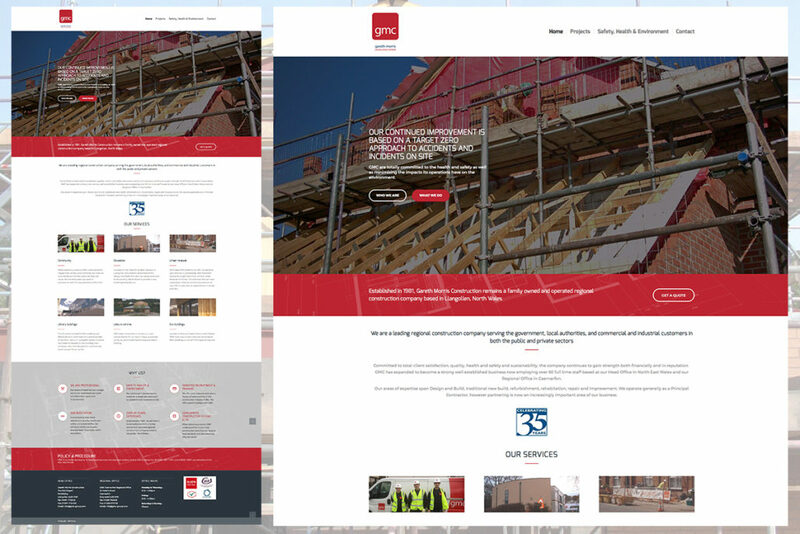 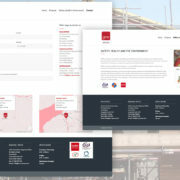 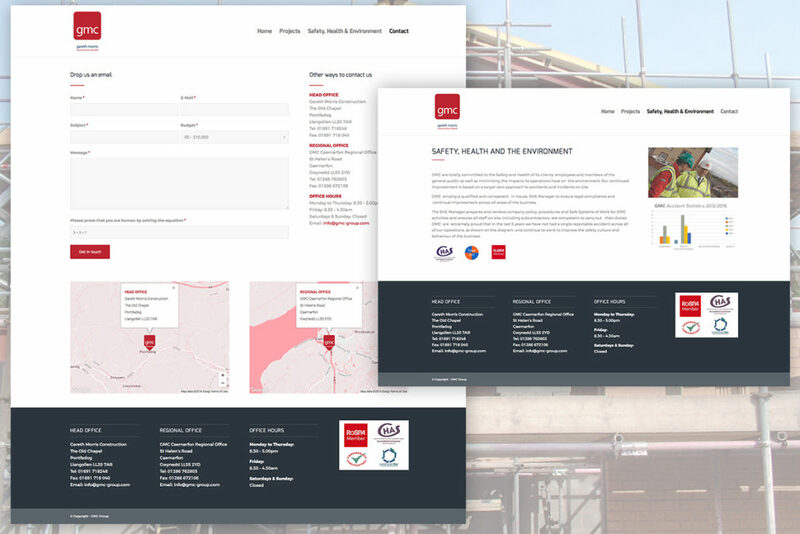 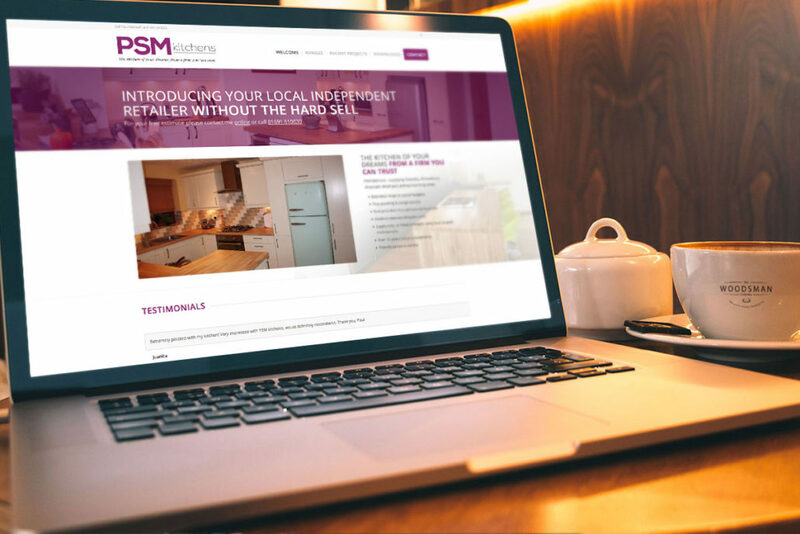 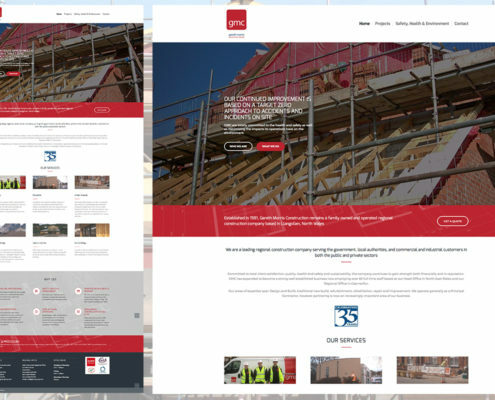 GMC are a leading regional construction company serving the government, local authorities, and commercial and industrial customers in both the public and private sectors. 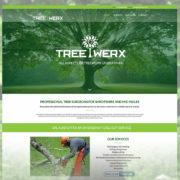 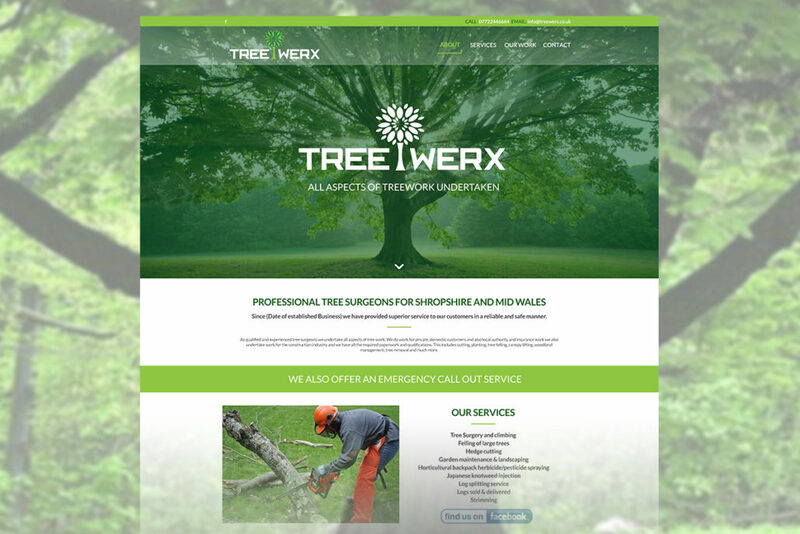 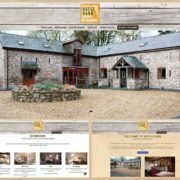 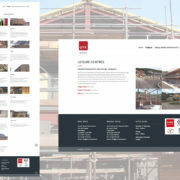 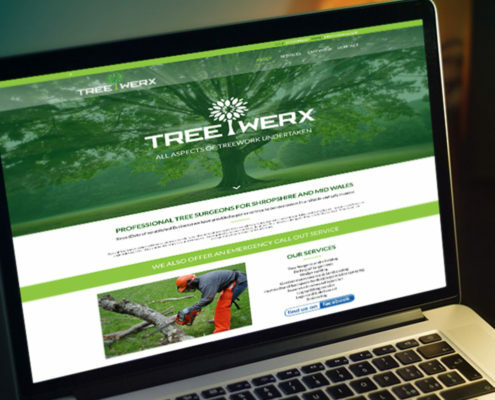 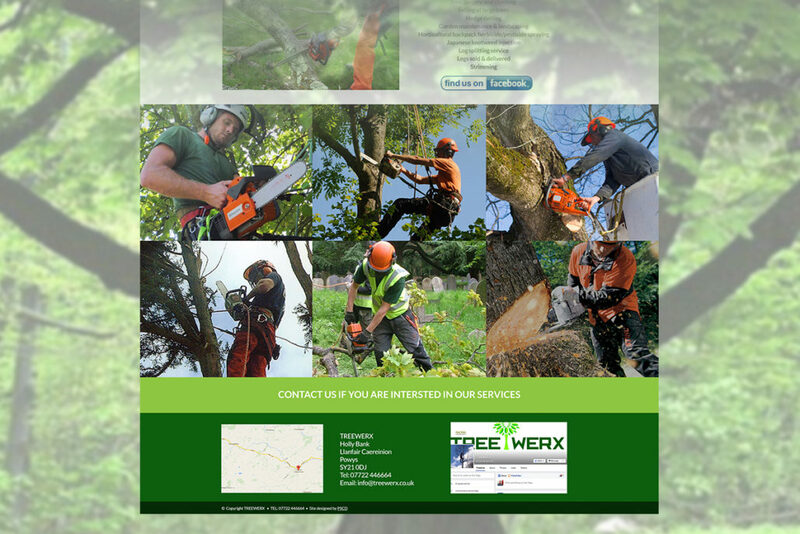 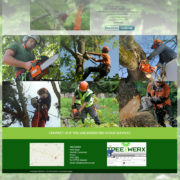 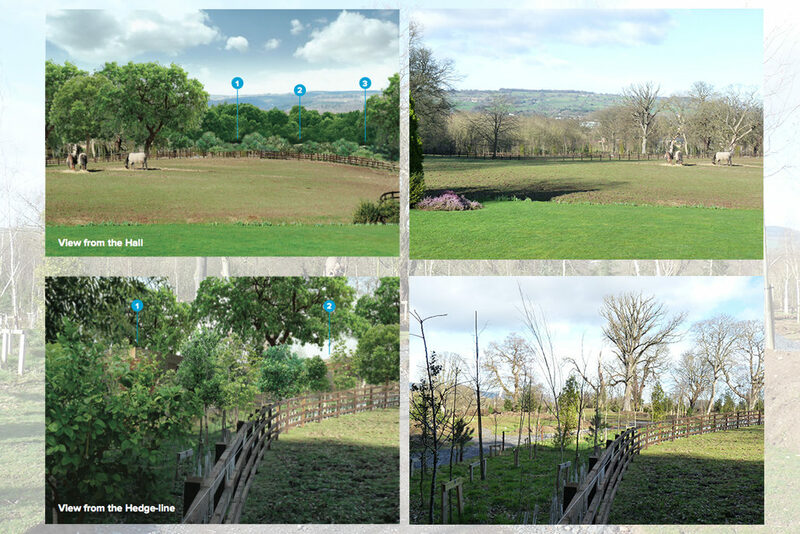 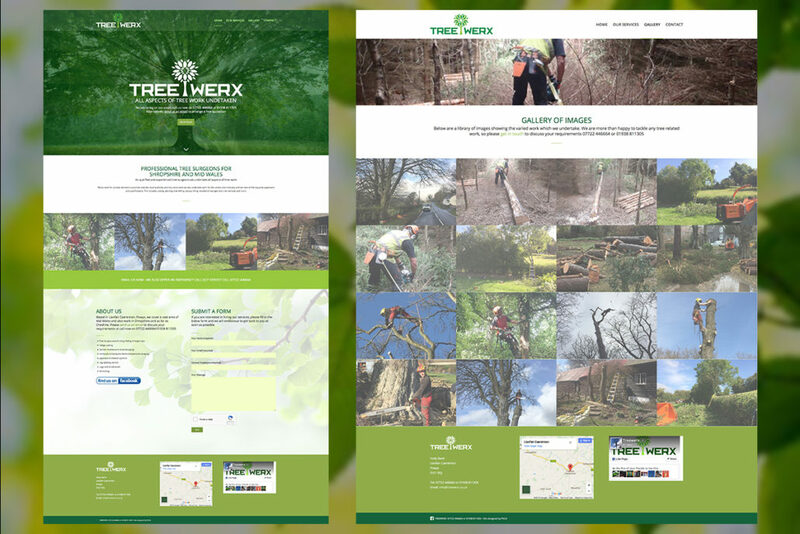 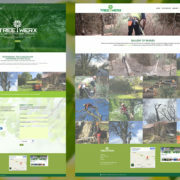 Design of WordPress website for Tree Surgery company based in Powys. 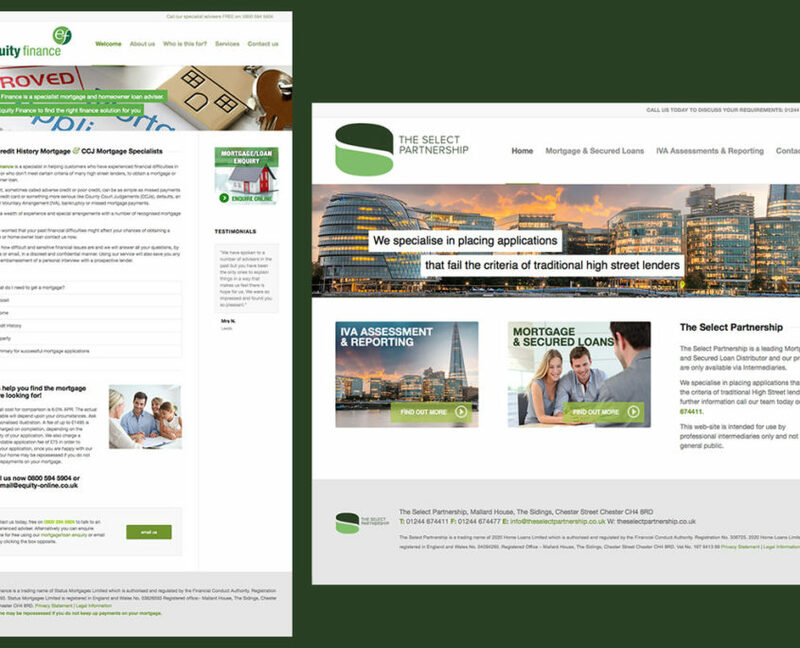 Design of logo and branding and website for The Select Partnership, leading mortgage and secured loan distributor. 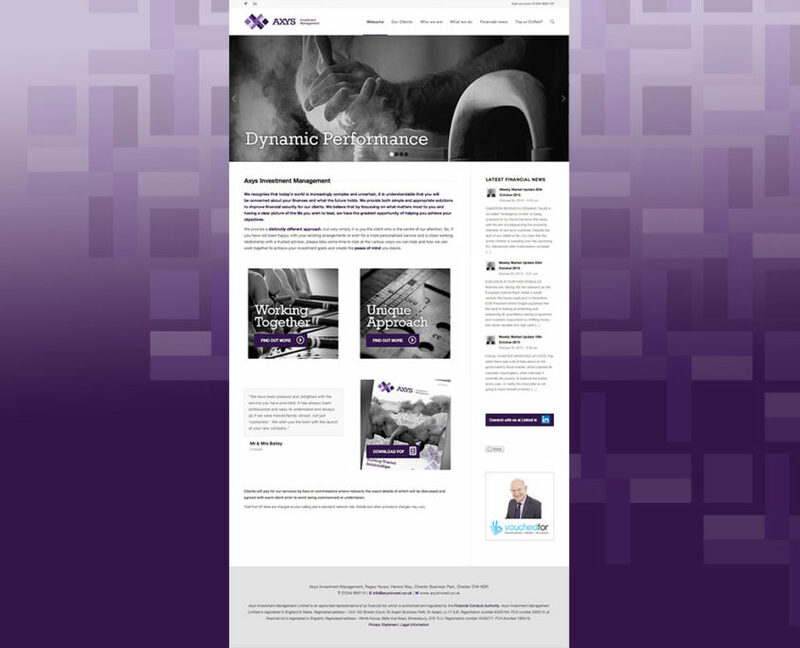 Design of logo and branding and website for Equity Finance, a specialist in helping customers who have experienced financial difficulties in the past, or who don’t meet certain criteria of many high street lenders, to obtain a mortgage or home-owner loan. 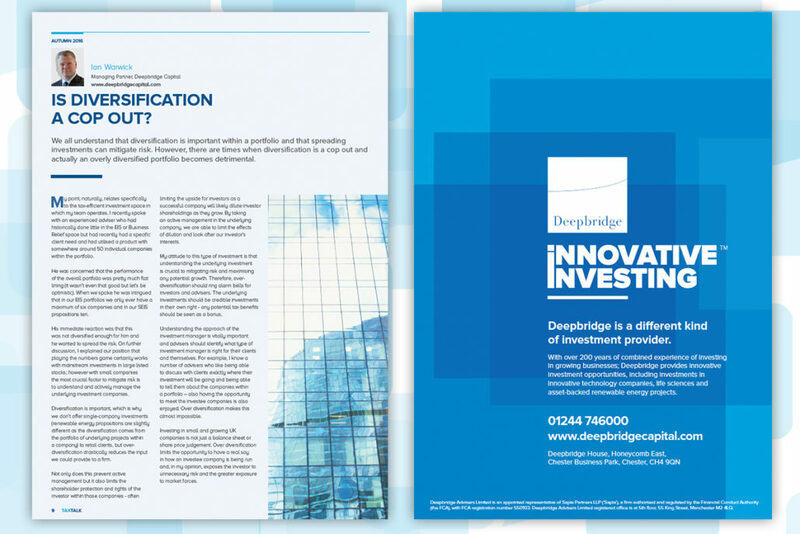 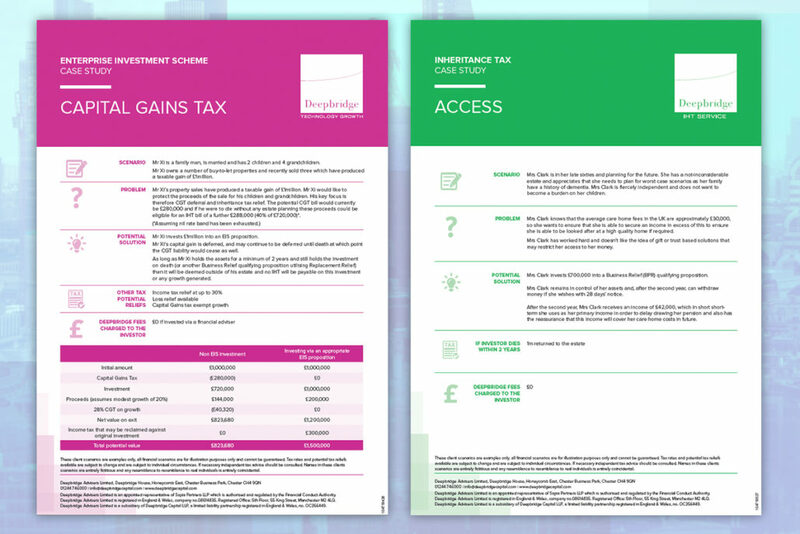 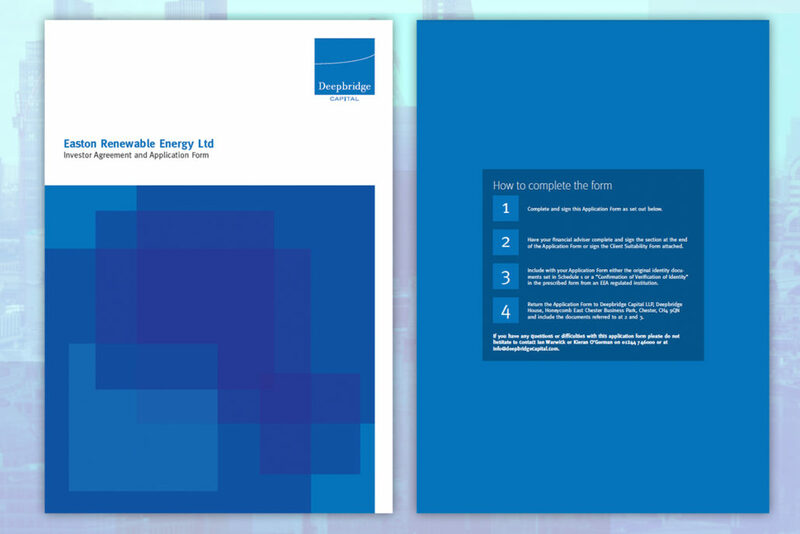 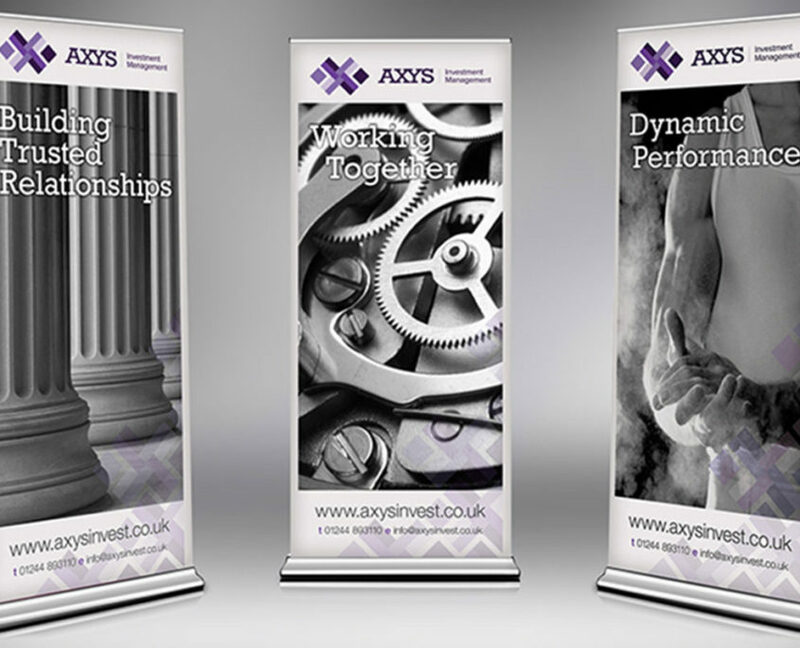 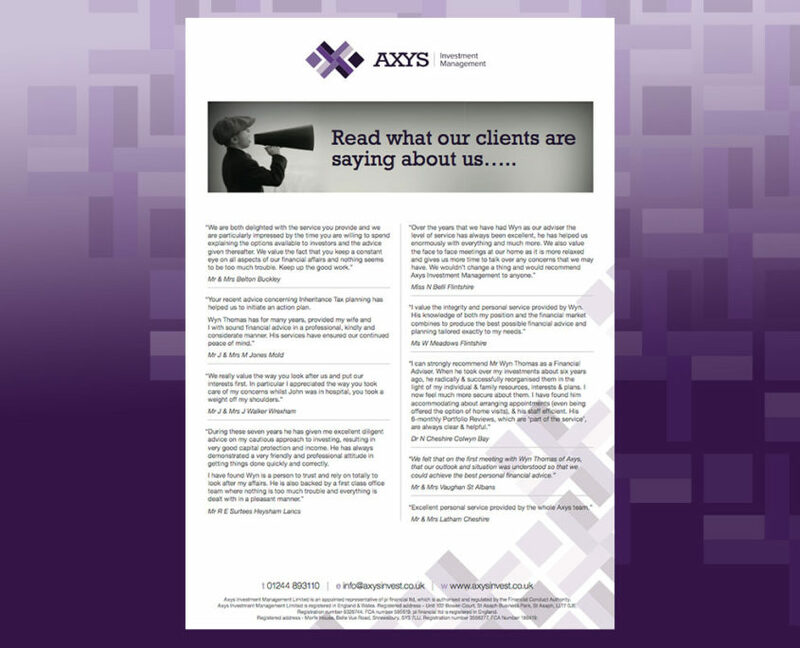 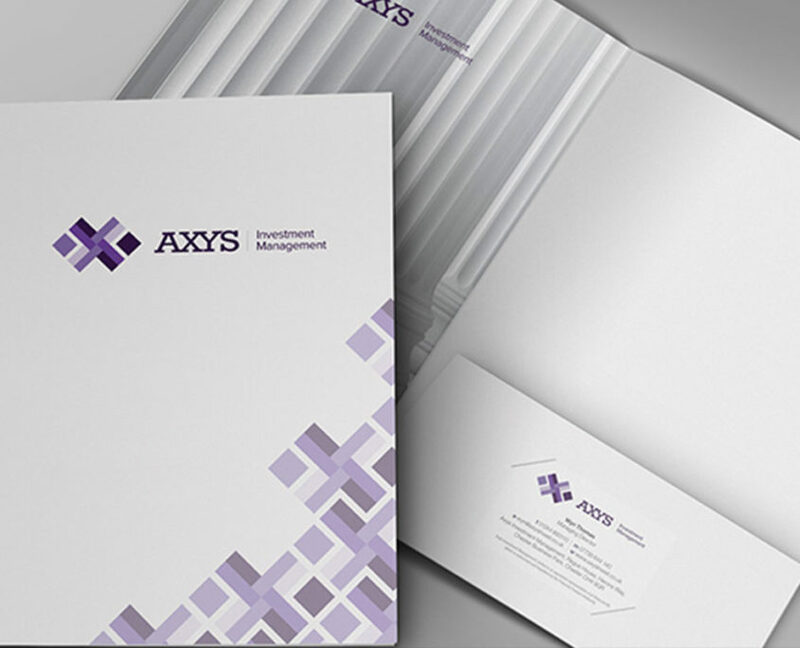 Design of logo and all printed literature for Chester based Investment Company. 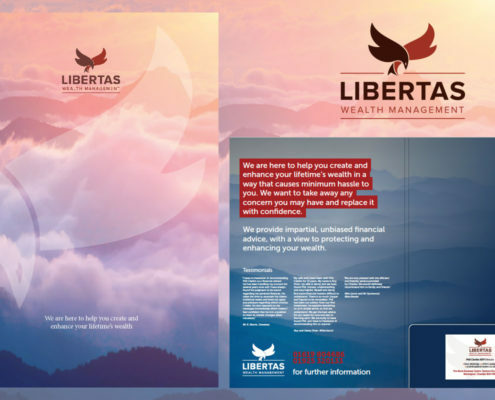 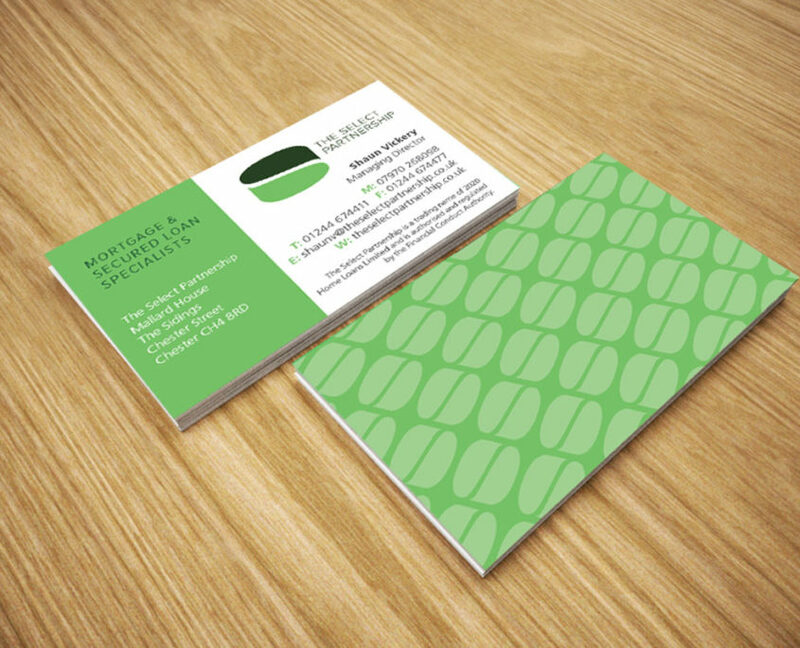 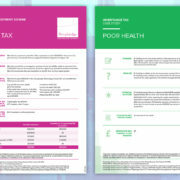 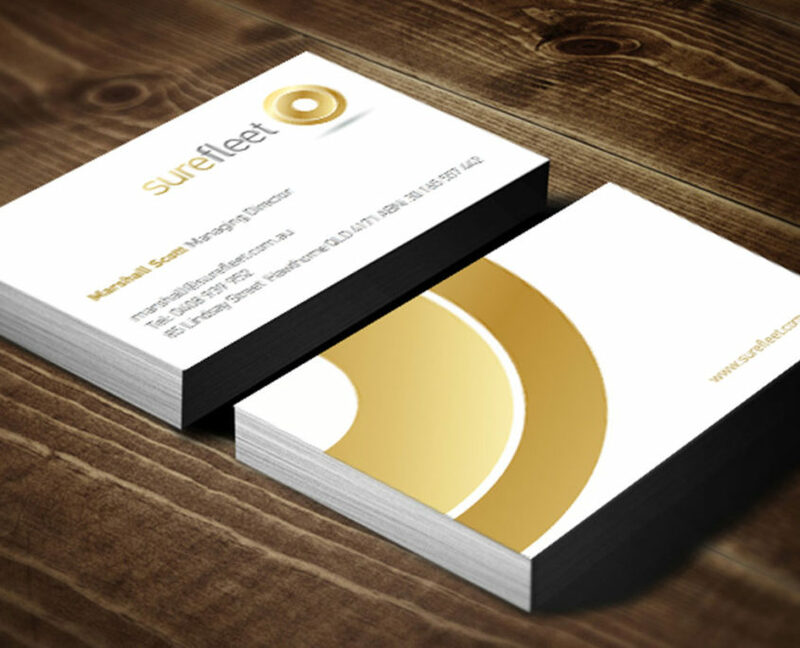 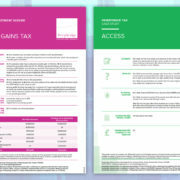 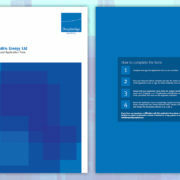 Redesign of logo and stationery and folder design, sourced, printed and delivered to Chester based Wealth Management Firm. 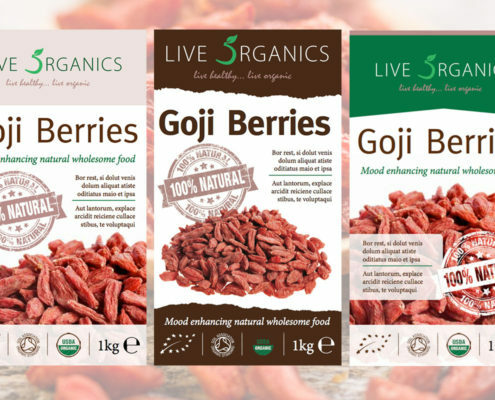 Goji Berries packaging design for Shropshire’s organic company, Live 5 Organics. 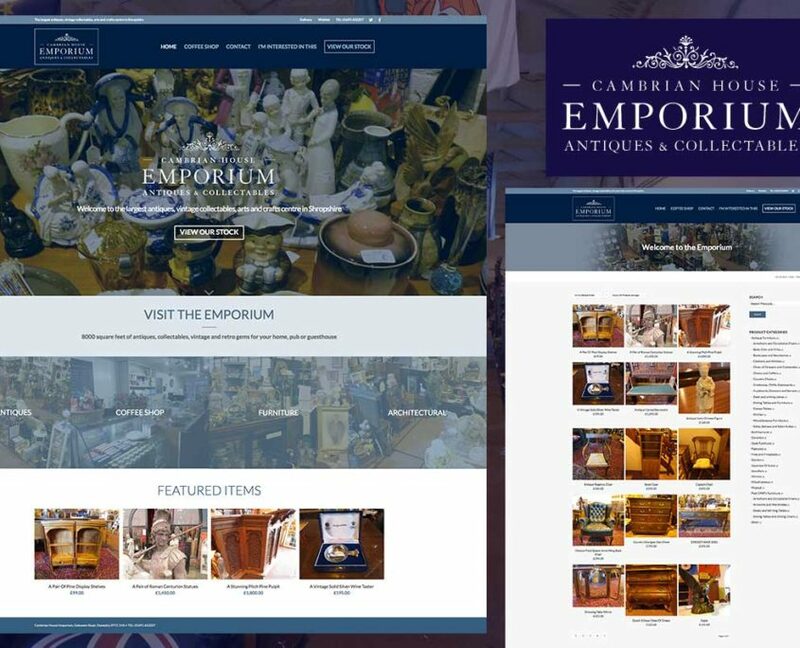 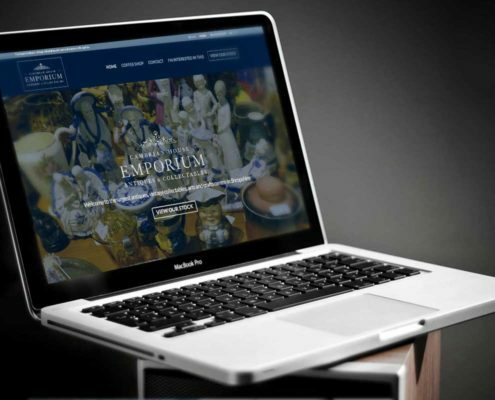 Design of logo and branding and Woocommerce website for the largest antiques, vintage collectables, arts and crafts centre in Shropshire. 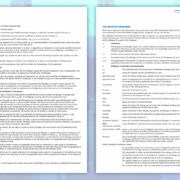 Neon 10 Digital Media promotional work for prerelease premium game and film industry.